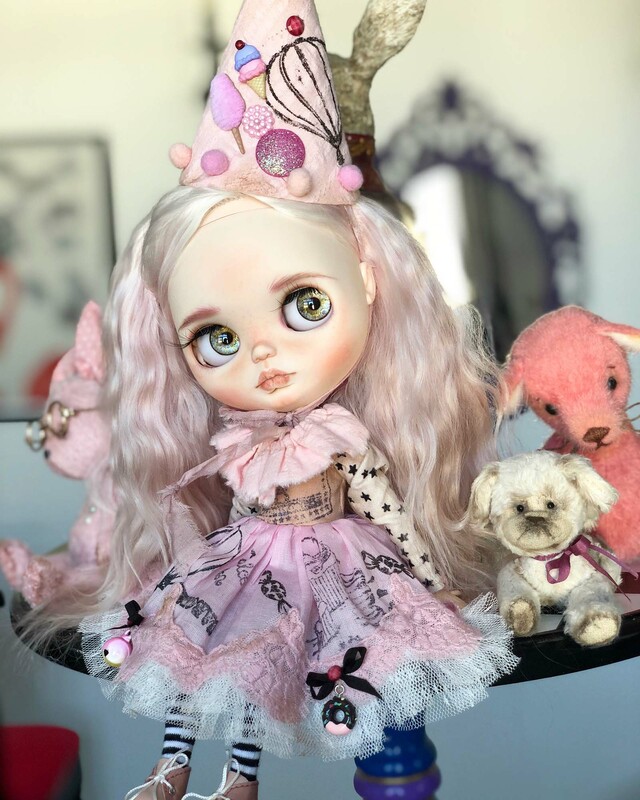 Darya Javnerik is one of the most prolific Blythe doll customizers out there but that doesn’t let her compromise the quality and richness of her work. 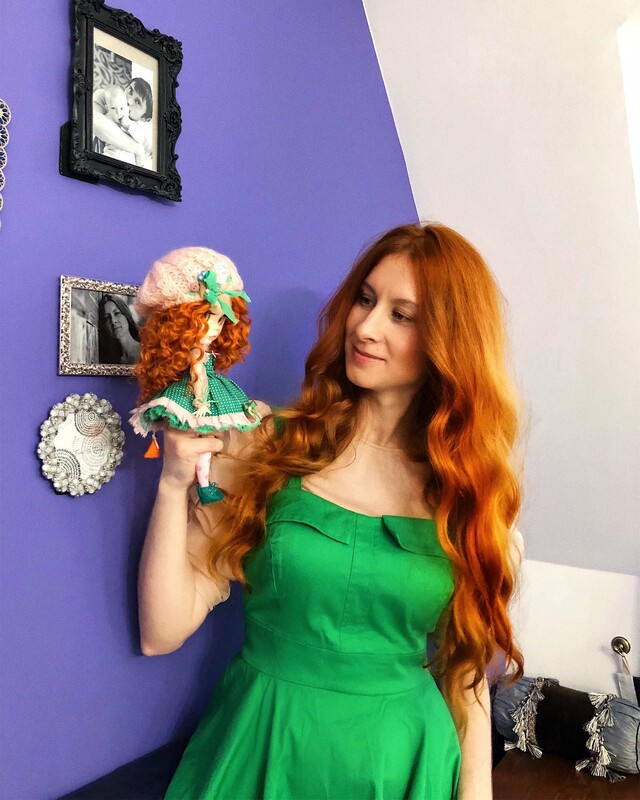 Her dolls look like they come from children stories. 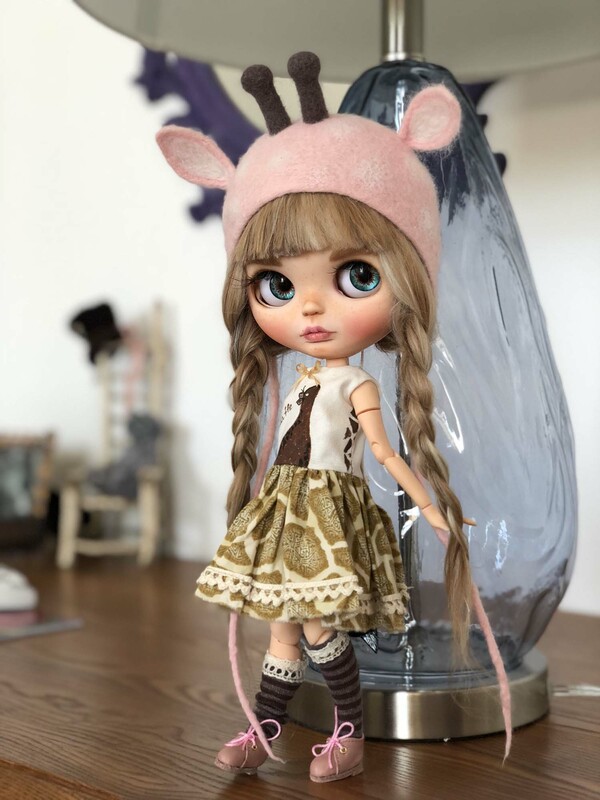 Filled with cute details, all done by Darya, they lead us into a fantasy world. Every job needs practice. The more practice you have, the better the result will be. 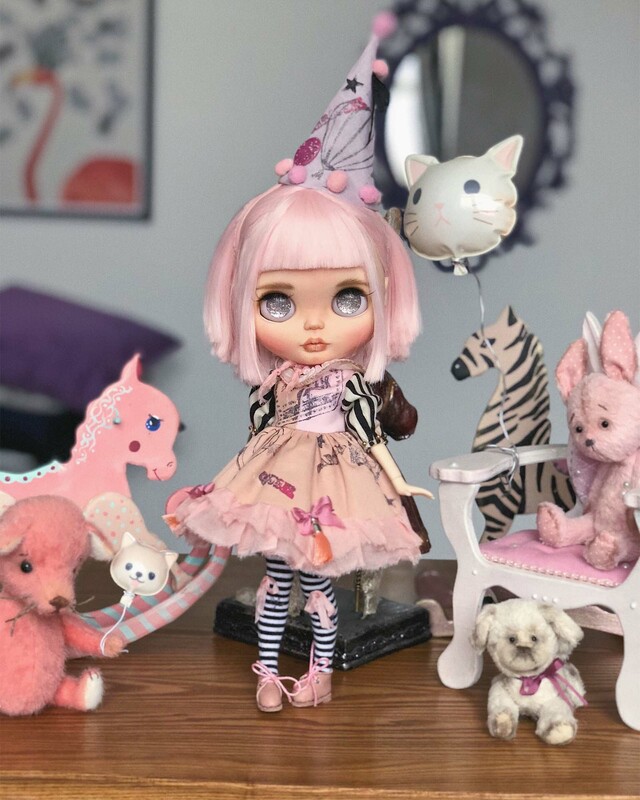 When and how did you discover Blythe dolls? 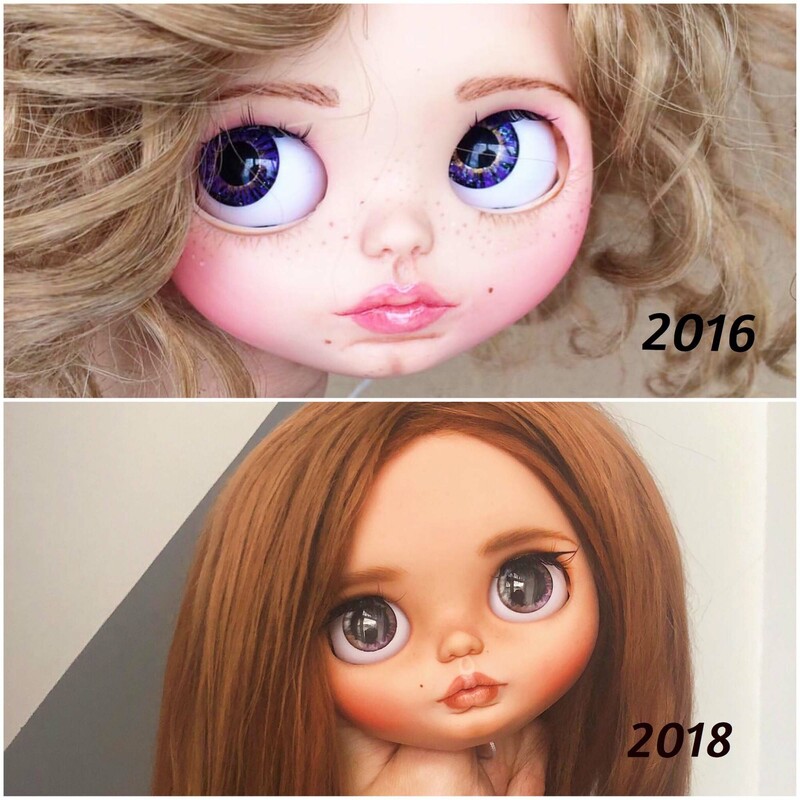 I discovered Blythe dolls on Instagram in 2015. I was very impressed by their insanely beautiful lively eyes and their photogenicity. I began to search for information about them. I read a lot on the Internet and watched YouTube videos. 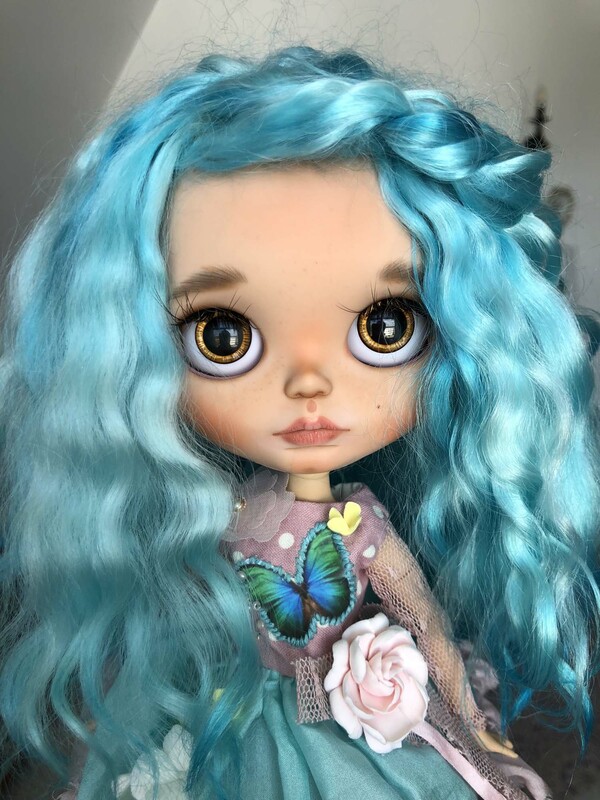 In May 2016, I tried to customize my first Blythe doll. How long did it take for your style to emerge? I think my style began to appear with my very first doll. 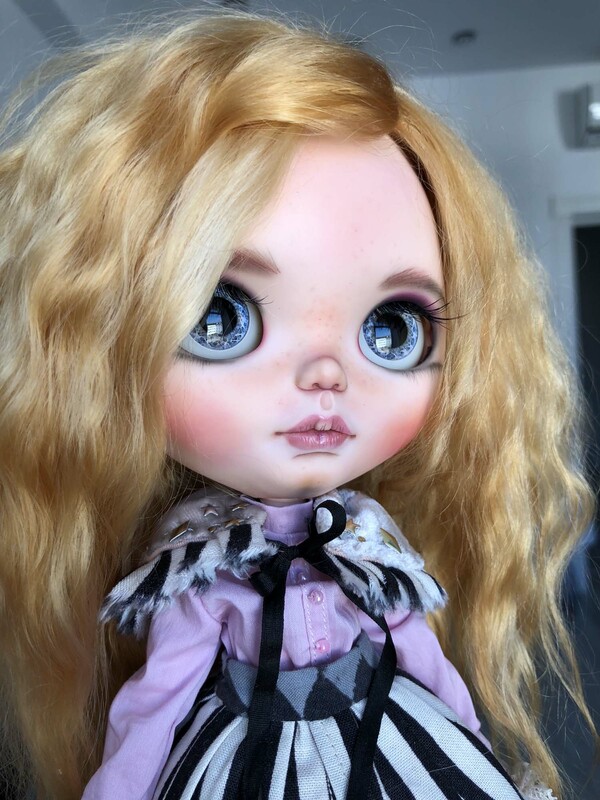 Not much time has passed, Just over 2 years since the birth of my first Blythe, and now I’m still developing it. I love Blythe when they look like dolls, but not real people, I like to dress them in beautiful lush dresses and various decorations and accessories. 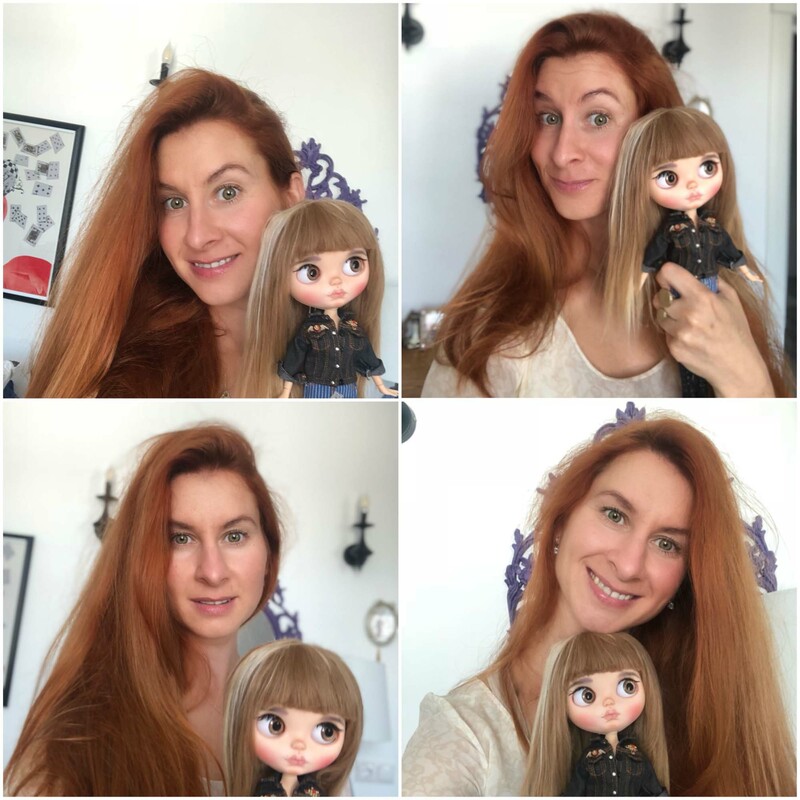 First custom Blythe doll (2016) and latest (2018). Do you do this as a hobby or professionally? What is your creative process like? 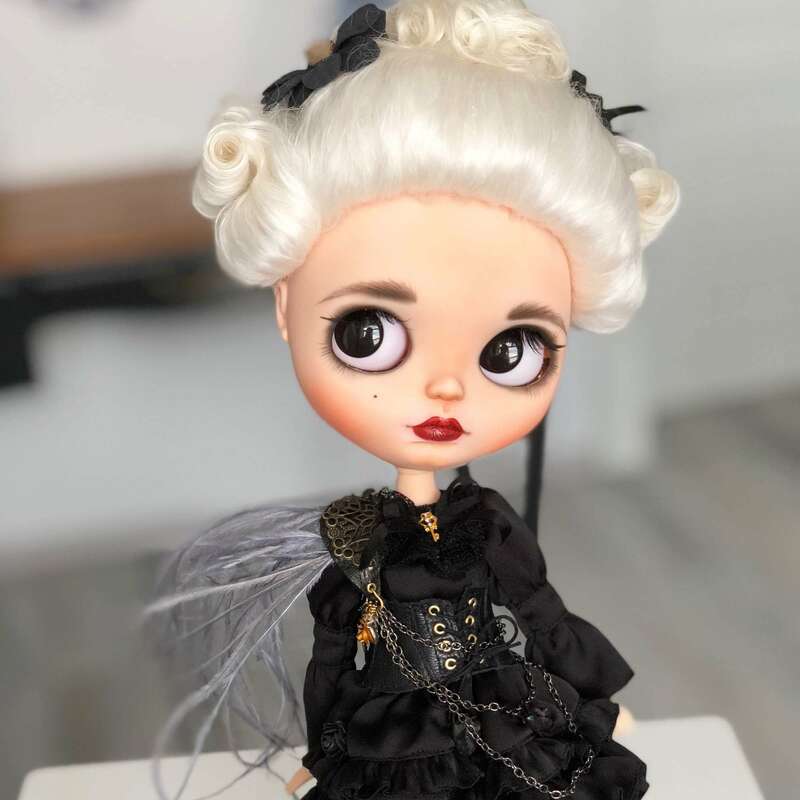 Do you plan your custom dolls from start to finish or just go with the flow? I always plan the concept of the doll in advance. I first think about her clothes and with that concept in mind, I do the makeup, pick up her accessories and details. What is your favorite part of this process and your least favorite? 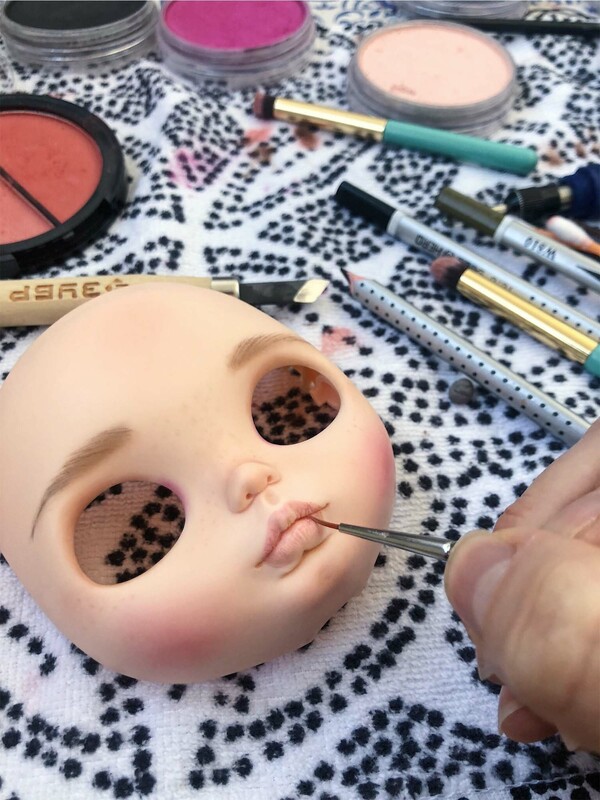 My favorite part of the process is to assemble the doll in the end. To see the final result. My least favorite is carving and sanding. 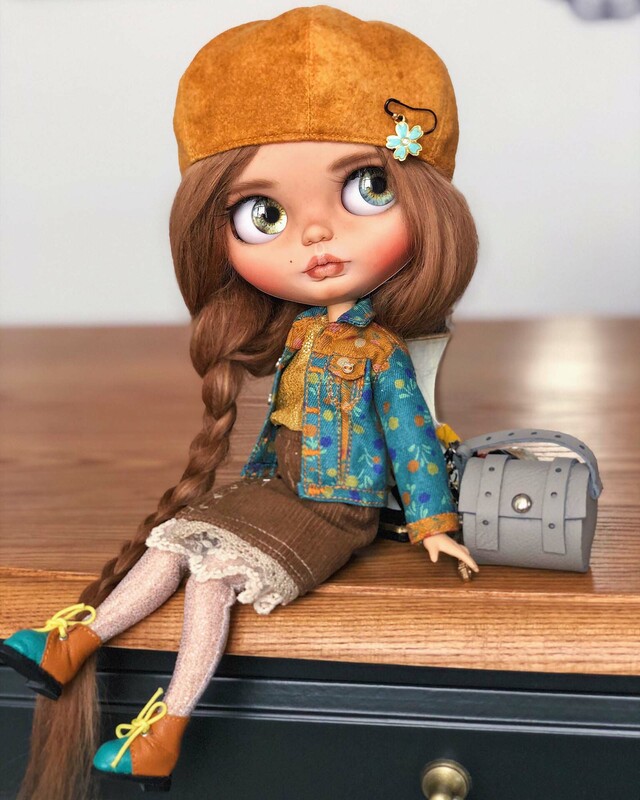 How long does it take you to customize one doll? Do you do one at a time or multiple? 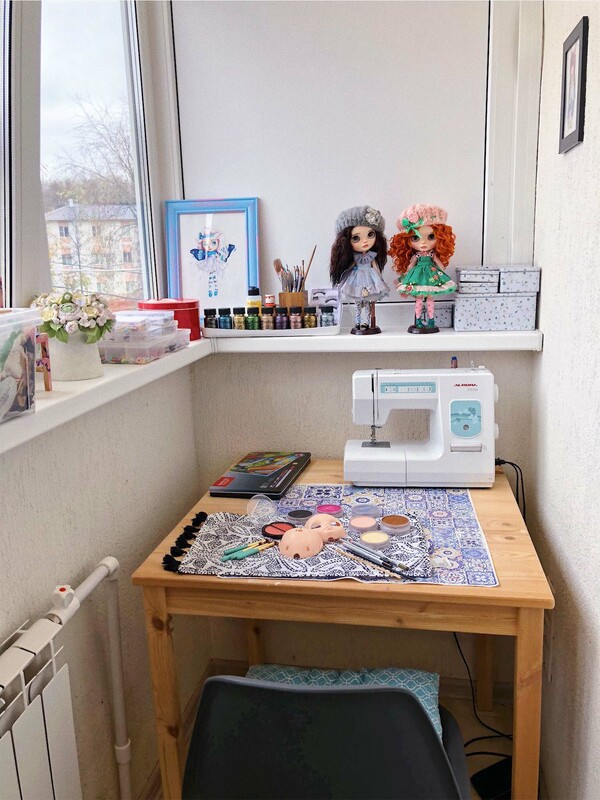 Where do you work on your dolls? Do you have a dedicated workplace? This is the most difficult question. Lol. I love plump lips and freckles. I think that my dolls are girls around 14-15 years old. They are more fantasy and less realistic. What are your favorite tools? 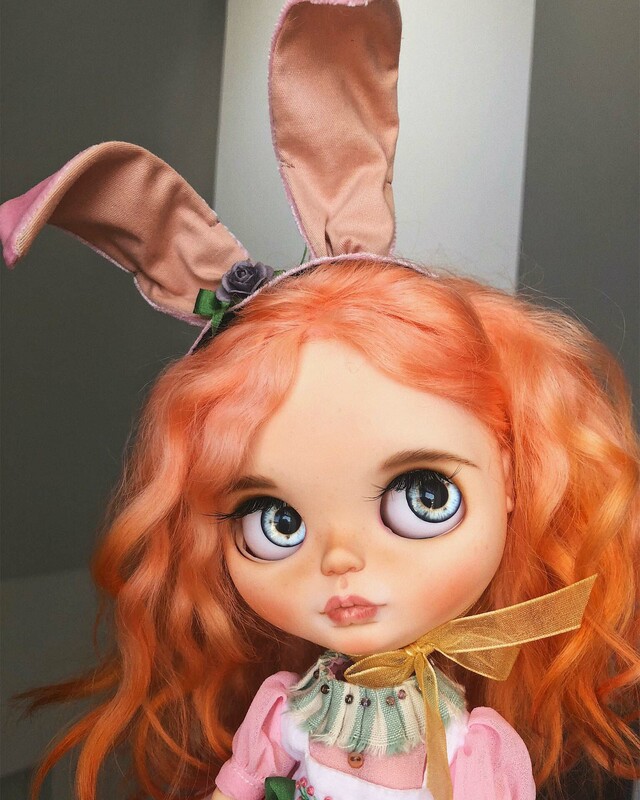 What is your favorite Blythe mold to customize? My favorite tools are the woodcarving knife, my small scalpel and of course the Dremel. It makes life easier for me and speeds up the process. My favorite molds are RBL and SBL. 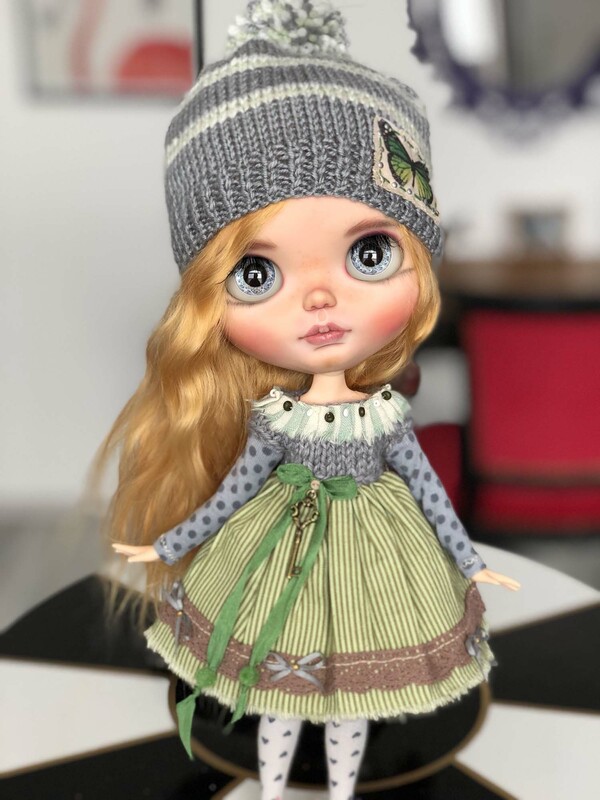 How did you develop the pricing model for your dolls? 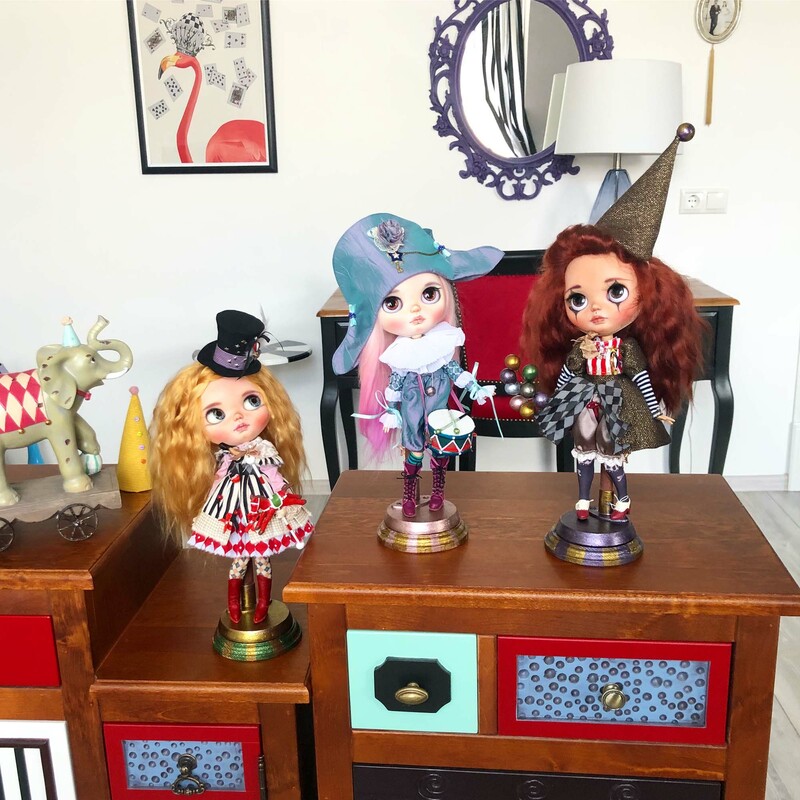 The price of the doll depends on the chosen doll used as the base and also on the hair, clothes, and accessories used to create the doll. For the beginner customizer, what advice would you give them? 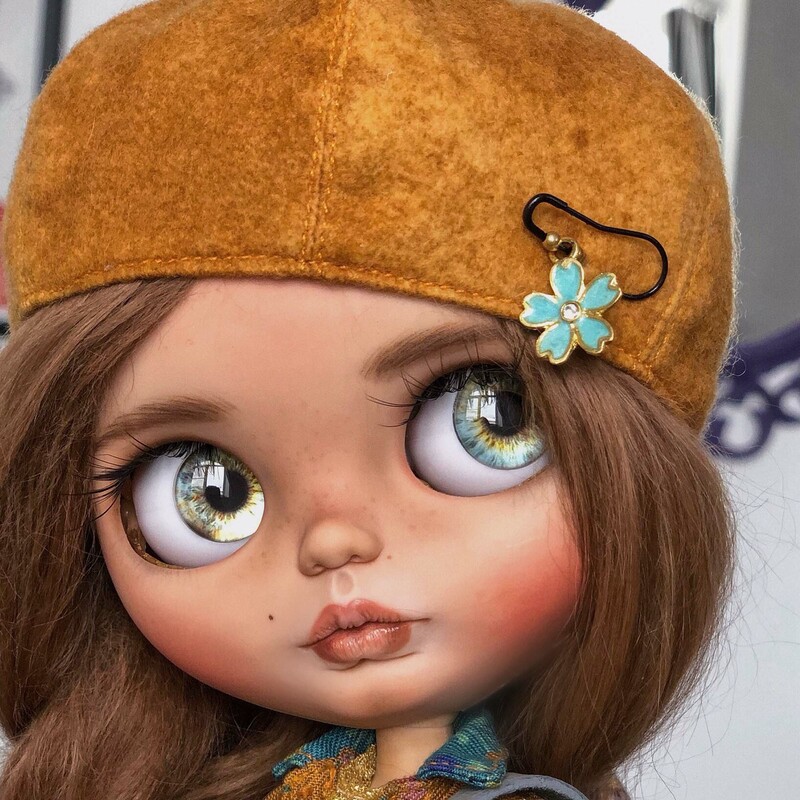 Russia is prolific with the Arts and this also rings true for custom Blythe dolls. 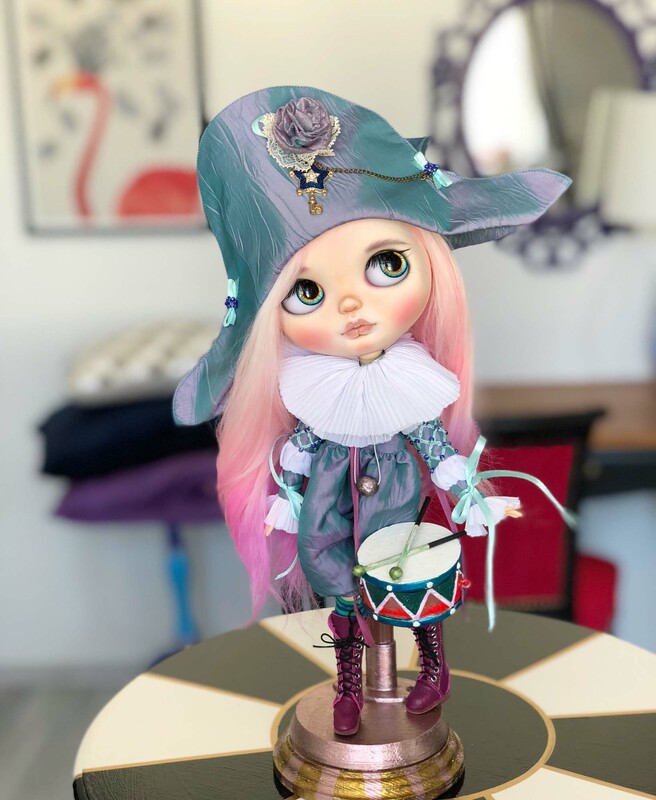 Darya is a recent customizer who is becoming known for her rich dolls that look like they came out of a children’s story book. Their clothes and accessories all come together to complement Darya’s romantic vision. Keep up with the latest work by Darya Javnerik by following on her social media – all links available on her profile page.